What memories a small name card can bring to mind! When I was preparing to graduate from Brigham Young High School as a member of the Class of 1954, I, along with most other students, ordered graduation announcements to send to friends and relatives. We also ordered small name cards to include with the announcements. Mine looked rather plain: Adrianne Taylor, no title, no middle name. Years earlier Mother had explained why I had been given only two names. She said that one day I would marry and take my husband's last name, giving me three names; any more names than that would be a burden. I have managed to use those same small graduation name cards over the following fifty years, because I married Rodney Taylor, and my husband and I had the same last name. Our marriage united two unrelated Taylor families. My name situation was not so unusual, however, because I followed a family precedent. My mother, Delenna Taylor, also graduated from Brigham Young High School, in the Class of 1930. She went on to BYU, where she sat next to Rex Taylor in zoology, because students in that class were seated alphabetically. She tried unsuccessfully to entice Rex Taylor to ask her for a date. At the end of the term, in desperation, she called his boss at Carpenter Seed Company. 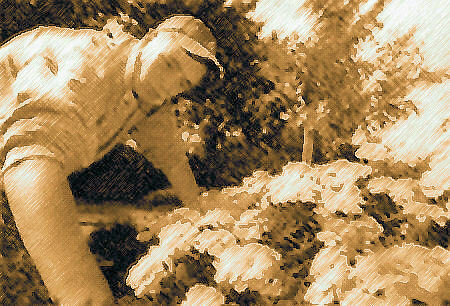 She ordered some flower plants, with the stipulation that Rex Taylor personally deliver them and plant them. While he worked in the garden, she worked her charm, and finally got a date. Carpenter Seed Company delivers & plants! Three years later Rex Taylor and Delenna Taylor married, linking together two previously unrelated Taylor families. Rodney Taylor came into my life when I was ten years old, and he was twelve. After my older brother, Nicholls Victor Taylor, was ordained a deacon, he went to his first Deacon's Quorum meeting and made a new acquaintance, Rodney Taylor. They became good friends, and Nic -- also sometimes known as Vic -- often went to Rodney's house to visit and hang out. One day Mother asked Nic to tell her Rodney's last name. Nic laughed and told her it was the same as ours. I had not yet met Rodney, but at that time it occurred to me that my mother had married a Taylor, and I wondered to myself, what if I might marry Nic's friend who was also a Taylor? As we matured, Rod began to notice that his friend had a younger sister who seemed quite interested in his visits to our home. After a while, Nic mentioned to Rod that he was not sure whether he was coming over to see him or to see his sister. Rod considered Nic's comment and agreed with him. He didn't stop coming over, but now he came to see me instead of Nic. Ten years after we first met, Rodney Taylor and I were indeed married. Since Rodney was a student at Provo High School and older than I, he wasn't around our BYH campus except for school dances or other functions requiring dates. After Rodney left to serve a mission in 1953, I leaned on my younger brother, Larry Taylor, who also attended BYH, when I wanted to attend a school function that required a date. 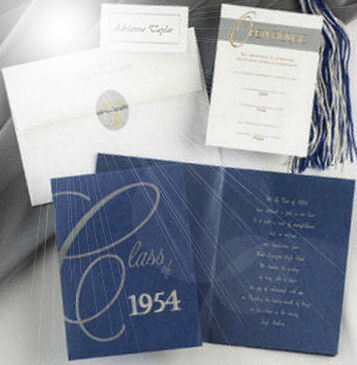 By the time spring of 1954 finally rolled around, and it was time for me to graduate from BY High, I knew my graduation name cards would be just perfect if I ordered them with only Adrianne Taylor printed on them, instead of Miss Adrianne Taylor! Delenna Taylor was born December 28, 1911 in Provo, Utah to Thomas Nicholls Taylor and Maud Rogers Taylor. Delenna attended the BYU Elementary, Junior High, and High School. She graduated from BYH on Thursday, May 29, 1930, singing in a double-mixed quartet during the commencement ceremony. Her father was a well-known Utah leader who served for twenty years as vice president and chairman of the Executive Committee of the BYU/BYH Board of Trustees (1919-1939). Thomas Nicholls Taylor (known as T.N.T.) was co-founder of Taylor Brothers Company, a Provo department store later known as Taylors Inc.
Hyrum Rex Taylor was born and raised in Levan, Utah, and graduated from Juab High School in Nephi. He met his future bride, Delenna, while attending BYU where they were seated together in a class. They married on January 3, 1934 in the Salt Lake LDS Temple. Delenna and her husband were active in all types of Brigham Young University alumni activities. She served on the Provo City Planning Commission for nine years and was active in civic affairs such as the Red Cross, the American Association of University Women and the Fine Arts Club. She was active in the Church of Jesus Christ of Latter-day Saints, serving in the M.I.A., Primary, Sunday School and as President of the Relief Society. Mrs. Taylor was an avid genealogist. 6. Natalie Taylor [BYH Class of 1968] Ralph and husband Murlin, of Payson, Utah. 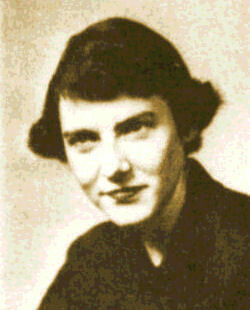 Adrianne Taylor graduated from Brigham Young High School in 1954. During her high school years she was active in Band, attended Girls State and Girls Nation, and belonged to the Shorthand Club. She also received the Scholastic Award, served on the Supreme Court, was a member of the Type Team, and served on the Graduation Committee. 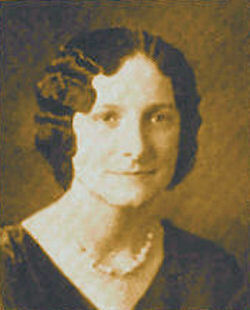 Her parents were Delenna Taylor [BYH Class of 1930] and Rex Taylor. She met her future husband, Rod Taylor, because he was a friend of her brother, Nic. Rod finally mustered courage enough to ask Adrianne for a date when she was 15 and he was almost 17 (there were no rules about minimum dating age in those years). Six years later, after they had both completed high school, the first two years of college at BYU, and Rod had returned from a mission, they were married, joining a third, previously unrelated Taylor family in marriage. They have four children and eleven grand children. Although none of their children married individuals with the last name Taylor, their oldest son's wife's mother was a Taylor before marrying, and is descended from LDS President John Taylor, still another separate Taylor family to which they were previously unrelated. Adrianne went back to school when their youngest child was about 15, and completed her bachelors degree and a teaching credential at California State University - Northridge. She taught in the HEB school district in north Texas for ten years before retiring. After retirement, they served a mission in the Freiberg, Germany temple where Rod served as a Counselor in the Temple Presidency, and Adrianne served as Assistant Matron. They are now ordinance workers in the Dallas Texas Temple. Rod and Adrianne Taylor live in Bedford, Texas, near Ft. Worth. They celebrated 50 years of marriage two years ago in 2006. 1. Rod Taylor's sister, Barbara Jean Taylor Gelder, graduated from BYH in 1946. 2. Adrianne's distant cousin, Jess Taylor, BYH Class of 1952, lives in the North Dallas Texas area. He is a recently retired dentist, and he and Rod Taylor both work as sealers in the Dallas Temple. 3. Richard Tippets, BYH Class of 1952 and a classmate of Nic, lives just up the street from them in Bedford, Texas. "I have looked and cannot find any of those original graduation cards," says Adrianne. "Who needs name cards any more when it's such a small world?"